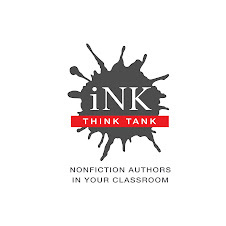 This month, we INKers are highlighting books that influenced us. A Weed is a Flower by Aliki Brandenberg changed the way I read as a child and inspired the books I write today. I remember being riveted by the story of a small, weak boy named George Washington Carver, the son of slaves, who was kidnapped as a baby and orphaned. Plants and insects fascinated young George and he began observing life on the farm and in nature and asking questions. This boy grew up to revolutionize farming in the south. George noticed that cotton depleted the soil and convinced farmers to grow peanuts by inventing clever uses for peanuts, including butter, paper, ink and shampoo. What a fascinating, quirky story, I thought. Then I realized that this amazing story was all true. It was not made up! Yet I had never heard of George Washington Carver. How could that be? A Weed is a Flower taught me, as a young reader, that there are many stories of fascinating, important people who we won’t read about in textbooks, who we won’t read about in newspapers and magazines, who won’t be on TV. But I could read all about them in books. I felt like I had discovered a mysterious, hidden world below or behind or under the worlds of school culture and popular culture. I also learned that those books, called biographies, could be really interesting. Instead of just a list of facts or a boring summary, I could read a real story, a story as interesting and thought-provoking and gripping as A Wrinkle in Time or any of the other novels I devoured. This is the very kind of book that I strive to write today. In fact, my newest biography, Electrical Wizard, just released two days ago, tells the story of another important inventor, someone whose ideas and inventions have transformed kids’ lives (and our lives) even more than peanut butter, if you can believe it. When kids think of inventors, the first to pop into their minds is often Thomas Edison. (Kids believe, because textbooks have told them so, that Edison invented the light bulb. But it turns out that Edison was just one of a number of inventors who contributed to the invention and development of the light bulb.) I would argue that one of Edison’s contemporaries, a little known Serbian-American inventor named Nikola Tesla, has had a bigger impact on our lives. I wanted to write a book that would begin to capture for young readers how Nikola Tesla has transformed our lives. Tesla's most amazing contribution to our world, the thing that truly ushered in the electrical age, was so far-reaching and complicated that it would be hard to explain in a fun word or phrase like light bulb or remote control. It was an entire system of generating, transmitting and using alternating current to power EVERYTHING. * That’s right, we have Nikola Tesla to thank for having electricity in our homes, schools, and businesses. But how could I distill Tesla’s mind-blowing electrical-engineering revolution into a story for young readers? As a kid, I was always interested in what important adults did when they were young. So I started with Tesla as young boy. What inspired him? What did he invent or build as a kid? When did he get his first ideas about alternating current? I wrote about Tesla watching lightning storms and wondering over the sparks he made while petting his cat. I showed him making water wheels and helicopters powered by bugs. But I wanted kid to be equally interested in Tesla’s later work, too, so I employed the theme and language of wizardry to capture the magical quality of his genius. While sticking closely to the facts, I wove in words such as: conjured, enchanted, and entranced, miracle, magic, and mysterious. All good stories have conflict, and Tesla’s quest to harness AC offered great fodder there. He faced poverty, anti-immigrant sentiments, and a popular, powerful enemy – Thomas Edison. So those provided the rising tension in the story. And Tesla won. He was a true underdog hero. His hard work and the power of his ideas overcame all the obstacles and provided a bright, brilliant climax and resolution. His AC system lit up the 1893 world’s fair, harnessed mighty Niagara Falls, and ultimately electrified New York City and the world. One of the reasons I was drawn to Nikola Tesla’s story was that he was not trying to become rich and famous. He worked for the betterment of humankind. George Washington Carver’s gravestone reads: “He could have added fortune to fame, but caring for neither, he found happiness and honor in being helpful to the world.” The same could be said of Tesla. Thank you Nikola Tesla for powering the lights and tools of my life. Thank you Aliki for inspiring me to write stories that have been overlooked by school and popular culture. And last, but not least, thank you to whomever invented peanut butter. When I reread A Weed is a Flower, I noticed that Aliki never said that George Washington Carver invented peanut butter. So I looked it up. Turns out peanut butter was likely created much earlier by the Aztecs. Different processes for making peanut butter were patented by several other inventors. So now I'm wondering, where did the peanut butter inventor myth come from? Why do people persist in thinking that Edison invented the light bulb and that Marconi invented the radio? How many more books do we need to get the record straight? * Technically, AC doesn’t power everything. Generally, AC powers things that are plugged in while DC dominates battery-powered machines. But computers and rechargers and the like have AC-to-DC adapters, so they, too, can get juice from the AC system. This is a WONDERFUL post Elizabeth. I can't wait to read your book and learn more about Tesla. Just goes to show you can't believe everything you read in books! It's necessary for children's biographers to simplify when creating their story arcs - especially in picture books. But that can lead to distortion or just plain errors. So glad you've championed Tesla! Great post, Elizabeth. A friend of mine recently wrote a book about the evolution of artificial light (called Brilliant) and it is through her that I heard and read so much about the deserving Tesla. Being a Detroiter, I already knew lots about the voracious nature of Edison, good friend to Henry Ford, who was even more vicious. You think of Robber Barons as being bankers and steel magnates--but these two guys certainly were giants in the inventor capitalist category. 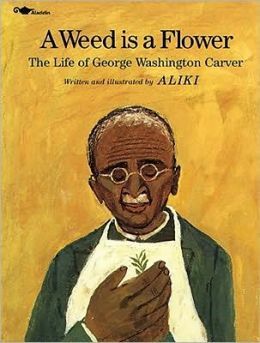 Elizabeth, I'm excited to learn about this book about George Washington Carver. As I mention in the dedication to my book Let's Go Nuts: Seeds We Eat, my grandmother took her eighth grade agriculture students to see George Washington Carver at work in his lab. He's such an extraordinary figure—such a renaissance man. I'm going to go look for that book...see if it's in print or still around in some form. Great post! I am embarrassed to say, and yet I will, that I’d never heard of Tesla. The “Tesla coil” was something that I vaguely knew about (in other words, I’d heard the name of it). My son received your book and we LOVED it. It is well-written, beautifully illustrated, and packed with information that is both interesting to kids and educational. I actually posted about your book (though I do not review books) because it is always fun for me to learn new things—especially when I’m teaching my children and I learn something as well. Thank you for writing this. I look forward to reading many more of your books.